The current interest rate is 26.88% per annum. This will be compounded if the monthly interest charges are not repaid in full. Until 31 August 2018, the interest rate is 25.92% p.a. This will be compounded if the monthly interest charges are not repaid in full. From 1 September 2018, the interest rate will be revised to 26.88% p.a. The effective interest rate is 25.92% per annum and is subject to compounding if the monthly charges are not repaid in full. 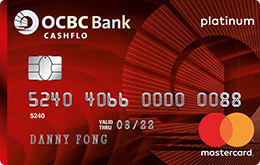 To earn an annual fee waiver for your OCBC Cashflo Credit Card, you must meet the minimum spending of at least S$10,000 in one year, starting from the month in which your OCBC Cashflo Credit Card was issued. Retail transactions, monthly Instalment Payment Plans and monthly PayLite instalments will all count towards the minimum spending required, so long as the amount is shown in your statement during the year and not refunded. 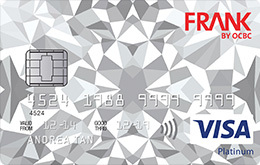 However, Cash-On-Instalments, cash advances and bank charges or fees will not count. 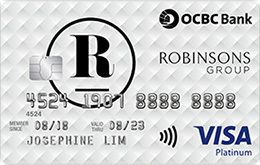 Minimum payment: 3% of the total balance or S$50, whichever is higher, plus any overdue amount and excess in credit limit. Extension of term: 3% of outstanding amount applies for 3- and 6-month term, and 5% of outstanding amount applies for 12-month term. 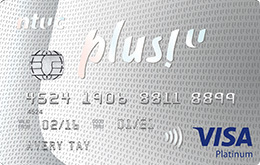 Administrative fee: S$150 to accelerate payment of automatic instalments. 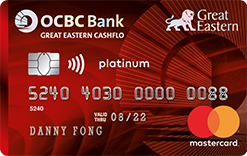 To earn an annual fee waiver for your OCBC Great Eastern Cashflo Credit Card, you must meet the minimum spending of at least S$10,000 in one year, starting from the month in which your OCBC Great Eastern Cashflo Credit Card was issued. Retail transactions, monthly Instalment Payment Plans and monthly PayLite instalments will all count towards the minimum spending required, so long as the amount is shown in your statement during the year and not refunded. 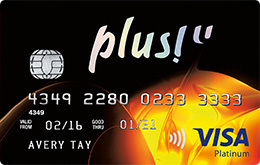 However, Cash-On-Instalments, cash advances and bank charges or fees will not count. 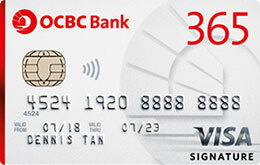 You'll get S$80 upon card approval, plus S$40 more when you spend S$300 within the first month of receiving your card. Apply now before 30 April 2019. 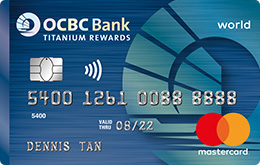 Apply for any of the OCBC Credit Cards below via this website. 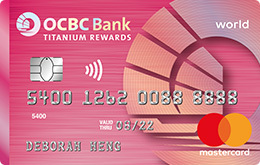 Once your application is approved and your card is activated, S$80 will be credited to your card. 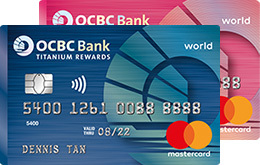 Spend minimum S$300 within the first month of receiving your card to get an additional S$40 cashback.